The time has come for change to the catering provided at TBYC. We are moving away from operating the kitchen under a franchise agreement to a model where we employ and manage the staff in-house. This will offer greater flexibility in terms of menu selection and opening hours. On behalf of the General Committee and the wider club I would like to say thank you to Dave Dowson for running the kitchen for the last two sailing seasons. Dave will be with us for another two months during which time we will look to hire a catering manager and related staff. We hope to have the new system in place as soon as possible to prevent any break in service. As there is no sailing on Sunday 1st October your generous committee has a work party organised to keep your busy hands from becoming idle. Classes have volunteered or been allocated the following areas. For more information on specific tasks and what you may need to bring with you please contact your class representative. OF COURSE if you don’t feel specifically affiliated to any of these club fleets or even if you don’t sail, don’t let that stop you coming along . Please feel free to lend a hand and meet some new friends while we happily beaver away. You never know, they might talk you into sailing something. Nick Cotgrove keeps a pair of oars under his Dart 16 (yellow hulls). The oars have been borrowed. If you used them, would you return them to Nick’s catamaran, please. If you need oars, each club tender has a pair. Due to the Finn Nationals the second Car Park has been opened for the weekend. Enter using the normal Dinghy Park Entrance and drive through the usual area where the Finns are, entering the weekends Car Park through the hole in the fencing. Finn Nationals results on the attached link. 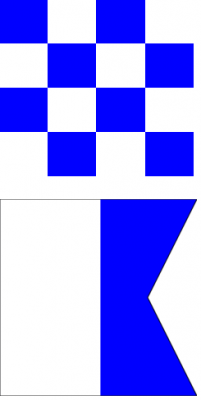 It is the “Interclub’ Cadet Dinghy Team Race this Sunday 24th September at Essex YC. This race is for Cadets who can sail a full course with good starting and a basic understanding of the rules. Boats can be sailed single handed or with helm and crew. Meeting to organise transportation of Dinghies to Leigh YC where I have secured parking for our trailers. The boats will be launched on the beach by the club and sailed 150 metres to Essex Yacht Club. To sort out teams of 4 boats. Race starts at 14.45, Mass start. Parents and Cadets should arrive at the club at 11.45 to load boats onto the trailers etc. The Cadets should either change at TBYC or come changed, as there may be no facilities available at Essex / Leigh Yacht Club. Each Cadet shall be responsible for their boat, whether it is their own or a club boat. That includes loading your boat onto the trailer (with help) and ensuring you have the rudder, daggerboard, boom, sails etc. loaded onto the trailer or in a parent’s car. I am looking for two parents who can tow a trailer to carry 3 to 5 boats to Leigh YC. We will have at least ‘Polly’ to watch the racing. There will be the usual Safety/support boat cover supplied by the organising club. This is a great opportunity for our Cadet to race against other youngsters and put all the training into practice. The forecast is 10mph winds……. perfect!